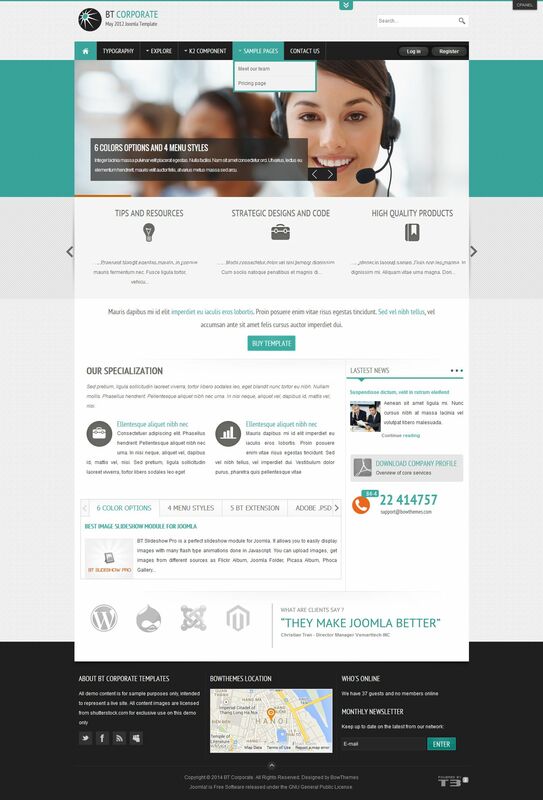 A little-known design studio released BowThemes modern business template BT Corporate for Joomla 2.5. Nice design template done in gentle, bright colors, contains six color themes integrated design template that can be easily configured using the convenient console. For the functioning of the template BT Corporate creators was applied effective framework T3 Framework 2, which ensures a continuous operation and maintenance of any mobile platform. This product contains four types of menus and includes adaptive modular system for comfortable positioning of all elements of the site pages. The structure of the assembly included the best club extensions that allow significantly increase functional project. With built-in component K2 offers a new opportunity to organize and publish the matter.